As I’ve mentioned before, I have a lot of stuff. I did win, I hope, the discussion about whether I was a hoarder. I’m not one since I have comfortably let go of truckloads of “stuff” with no physical discomfort. I enjoy passing on what I will probably never find enough lifetime to use. I keep only what I love and is useful in my life. Some of what I surround myself with are memories and conversation starters. At the very core of my being is a teacher. I love to learn how to do things and teach that to others. I had no idea my own mother would be one of my most ardent students. 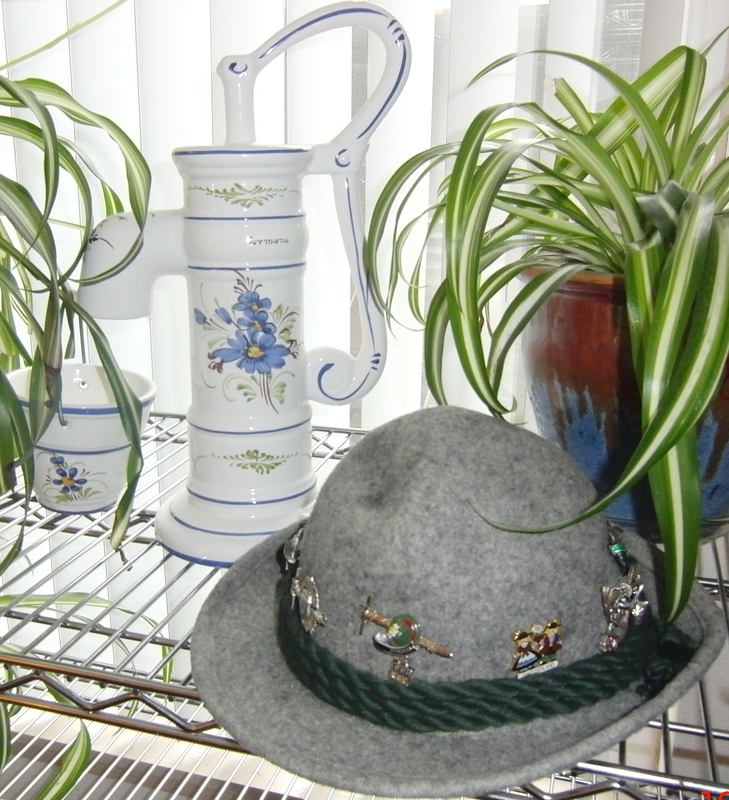 When I came across a needlework company a good many years ago that offered kits and if you sold so many you got some free. 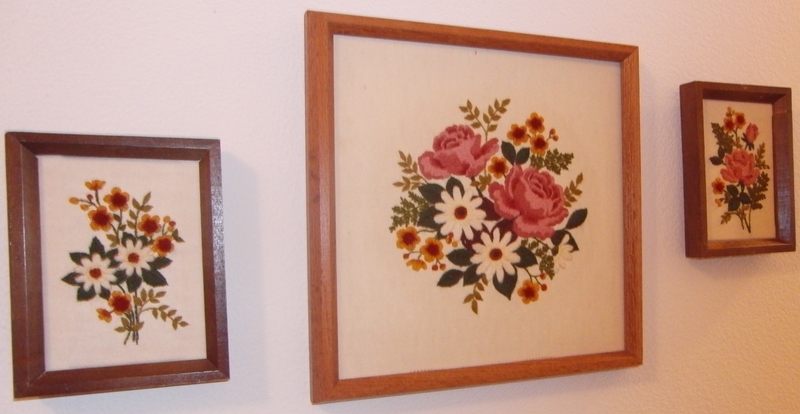 I had the good fortune to give classes to lots women and do a lot of needlework. It kept my hands from feeding my face. Mom saw what I was doing and had to get in on the action. I taught mom everything I knew and she surpassed me with her talents. We had such fun. My walls are lined with her work to remind me every day to strive for excellence in all I do. Just some of mom’s handy work. 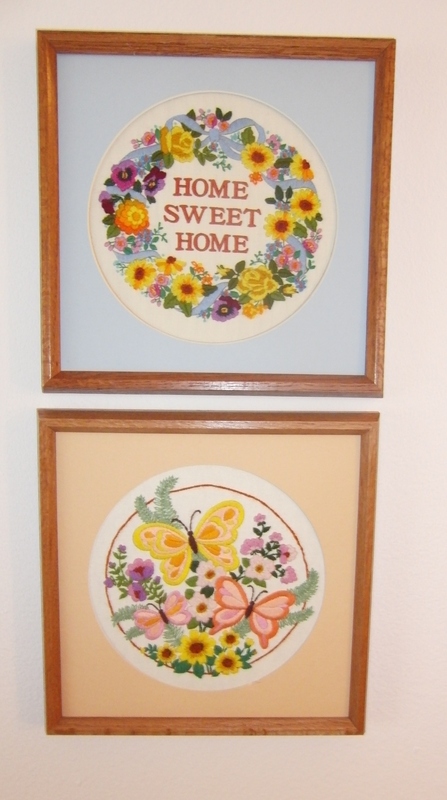 Mine is home sweet home, Mom made the butterflies for me. When I took painting classes, she joined me for one or two but just never got comfortable with it. I keep the one thing she was proud of painting. I also have a couple of her pots that she cooked with for over 50 years. They were a staple in her kitchen and necessary to making our favorite foods. I’m trying to figure out how to frame a pot. 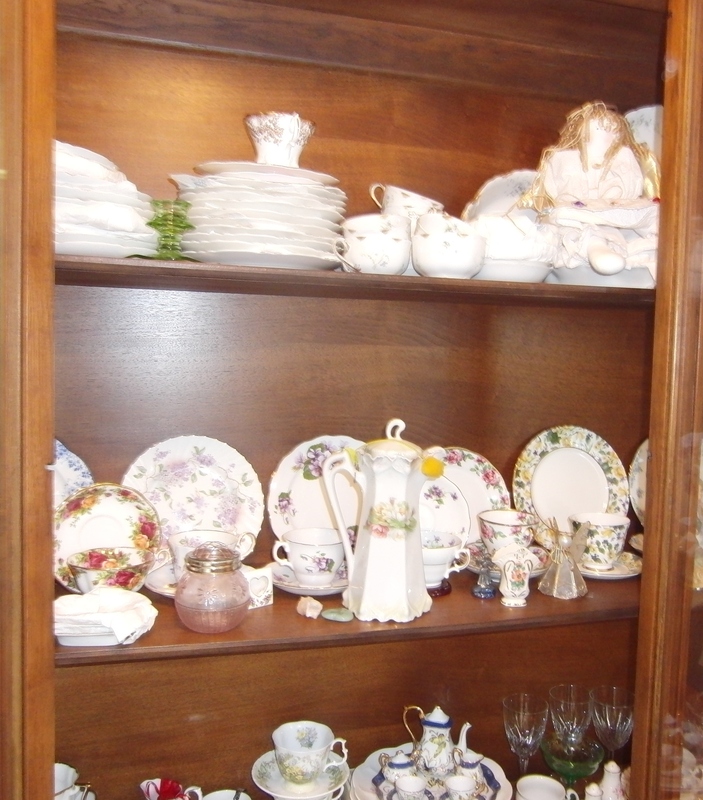 I have a china cabinet filled with delicate English bone china tea sets and antique dishes that once belonged to my last husband’s mother. She gave them to me because I had a deep appreciation for them that no one else would. I spent every other day with her, doing what I could to make her life more bearable. It’s a very long story but I loved that woman. I must confess though; a thought went through my mind for a few seconds of how many books I could store in my parents old china cabinet. It’s not my style and maybe this summer I will paint it. I’m more shabby chic than Danish modern. Just waiting for company to share my love of tea. It’s possible that I will be searching for minimalism for some time yet. I have downsized from 3000 sq.ft. to 1000. Maybe at some point, I will be ready to let go of so much more. 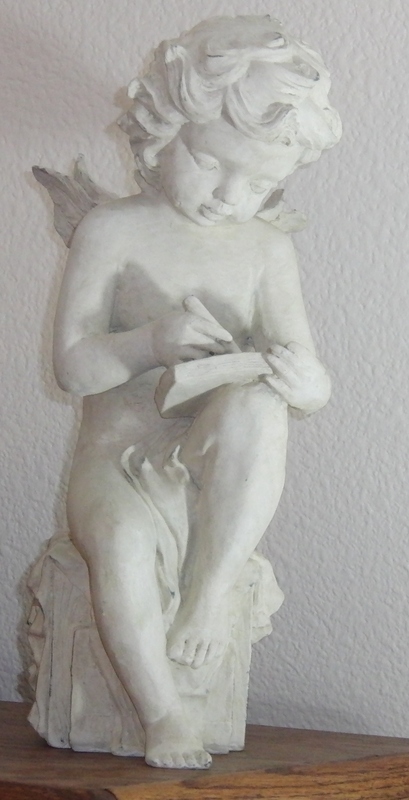 I’ve let go of so many of the Angels I’ve collected over the last 45 years but they are still in every corner of my home. Books will always be a part of my life. My sister borrowed six or seven the last trip by. Finding ways to pay tribute to those who have been an influence in my life will always require a bit of extra room. 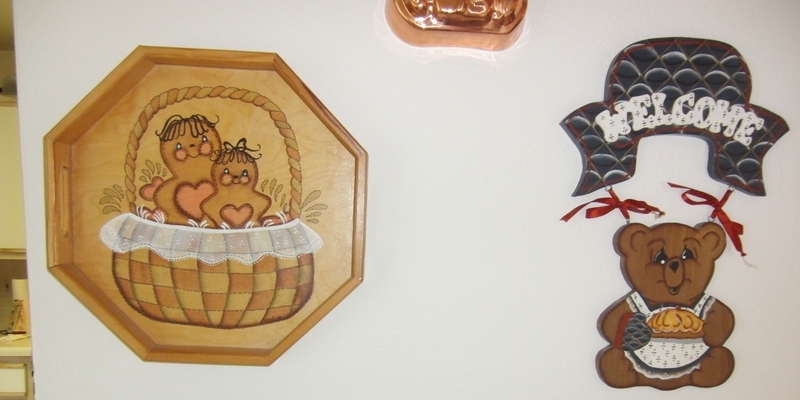 I really don’t need the kitchen except to display more treasures. Does that make me eccentric? Hmmm? She sits over my shoulder while I write this. Welcome to my kitchen. Ready for some fun? No one is allowed to gift me with anything that isn’t useful or a book. I have plenty to dust, thank you very much. I’ll take dinner out, a massage or a movie night but I have room for not one thing more. Is there something you need. Come on by. I’m sure I have plenty to share. Isn’t life grand?